No hype, just a proven track record of building Alexa Skills for our customers globally. Easily connect with your customers with an Amazon Alexa Skill. What Can Your Amazon Alexa Skill Offer? Reach your customers in the home with ease. Sell your products and services within your Alexa Skill. Create unique habit forming voice experiences for your brand. Access and control 100s of devices in the home and elsewhere. Serve as the Virtual Assistant to the home or office or car. We meet with you to define the Alexa Skill you want. We design with the knowledge that the best skills are task-driven. We build your Alexa Skill and integrate it into your systems. Once the Skill is built you can manage it yourself or allow us to do it for you. 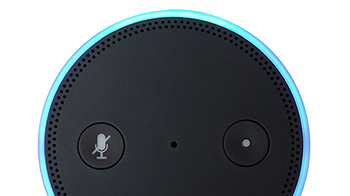 We will affordably develop your Amazon Alexa Skill. We are one of the fastest growing software development services businesses in the US. We solve your complex technical issues so you can create more engaging experiences for your customers, partners and employees.